Bluegrass legend Curly Seckler, 93, is recovering at home after suffering a mini stroke on May 19. Seckler suffered some loss of his ability to speak, but fortunately did not experience any paralysis. He was transported to the hospital and underwent multiple tests, but was not admitted. He is working with a speech therapist and is making progress in his recovery. 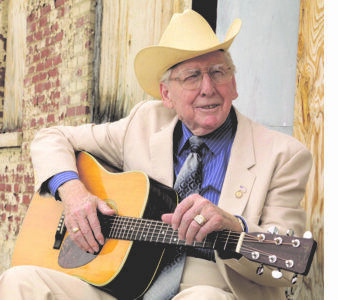 Bluegrass pioneer Curly Seckler will be inducted into the Bill Monroe Hall of Fame on Saturday, September 24 at the 37th Annual Uncle Pen Days Festival in Bean Blossom, IN.